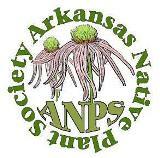 The Arkansas Native Plant Society (ANPS) is a non-profit organization dedicated to promoting the preservation, conservation, enjoyment, and study of the native vegetation of Arkansas. Through fund-raising activities and donations, ANPS sponsors the following awards to undergraduate and graduate students who show exceptional interest in acquiring a botanical education or who wish to conduct research projects involving the native or naturalized flora of Arkansas. This research grant award honors the late Delzie Demaree, a nationally recognized Arkansas botanist who dedicated his life to teaching botany and studying the Arkansas flora. The grants are awarded competitively to undergraduate or graduate students in amounts of up to $2000 for appropriate Arkansas botany or plant ecology related research projects. This scholarship award honors the late Aileen McWilliam, named Arkansas’ Outstanding Biology Teacher in 1965, a former member of the Arkansas Natural Heritage Commission, a noted author, and a knowledgeable and ardent Arkansas naturalist. This scholarship, in remembrance of her devotion to the study of the Arkansas flora, is given annually to promising undergraduate or graduate students with a strong interest in botany. Individual awards will be given in amounts of up to $2000. The deadline to submit an application is April 30, 2019.